Party workers and leaders have started preparations to make the prime minister's visit a grand success. Chief Minister Yogi Adityanath is arriving here on Thursday to review the preparations for the visit, he said. Prime Minister Narendra Modi is scheduled to visit Amethi, the parliamentary constituency of Congress president Rahul Gandhi, on March 3 and address a public meeting there. 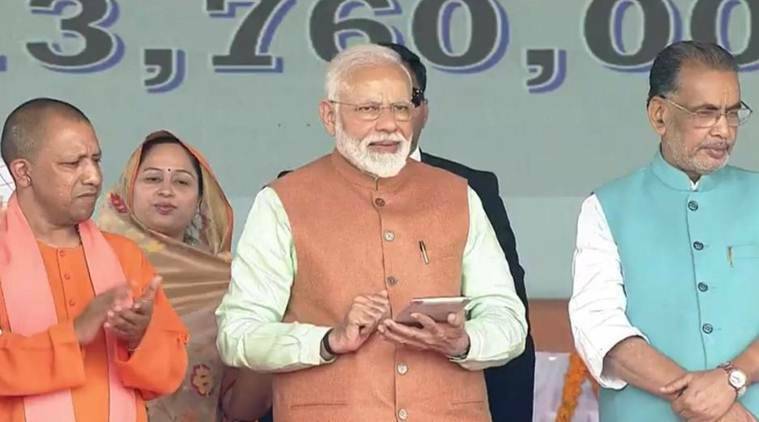 “PM Modi will visit Amethi on March 3 and besides attending a government programme in Korba Munshiganj, would address a public meeting in Kohar area of Gauriganj here,” the BJP convenor of the Lok Sabha constituency, Rajesh Agrahari, said Wednesday. Party workers and leaders have started preparations to make the prime minister’s visit a grand success. Chief Minister Yogi Adityanath is arriving here on Thursday to review the preparations for the visit, he said. Union Textiles Minister Smriti Irani, during her visit here on Sunday, had taken stock of the venue of the prime minister’s programmes. Irani had unsuccessfully contested against Gandhi in the 2014 Lok Sabha election and they are likely to fight again from Amethi in the general election later this year.